I am a textbook parent. I read all the parenting books I can get my hands on and follow all of the rules. I made homemade baby food from scratch and refused to give my child ANYTHING with added sugar or salt during her first year of life (not even a small lick of icing or ice cream). I refused to let any processed food touch her lips until she was well over a year old, and even now at 2 years old it is still a rare occurrence. To some, this may sound extreme. But to me, it just makes sense. Prenatal and early childhood nutrition can have long-term effects that do not manifest until later in life. Exposure to toxic chemicals early in life can cause epigenetic changes in developing babies and children which may lead to diseases in adulthood5. Food additives as well as chemicals in food packaging that leach into the food may be toxic and so they should be avoided, especially by children3. This is probably why some adults who eat healthy and exercise still end up with some sort of non-inherited disease despite their best efforts. They may be healthy eaters now, but who knows what their parents fed them as children. I practically lived off of Pizza Pockets and Pepsi during my teenage years. I hope I have good genes 😳. It is not just the infancy and early childhood years that are crucial for long term health. The teenage years are also an important period of growth and maturation. A diet high in animal protein and low in vegetable protein and isoflavones is correlated with early puberty, which has been linked to metabolic syndrome, cardiovascular disease and breast cancer as well as other hormone-related cancers1. This is just another reason why feeding your kids McDonald’s regularly is bad for them. Today’s “fast food” diet is high in meat and low in vegetables which is a recipe for disease. 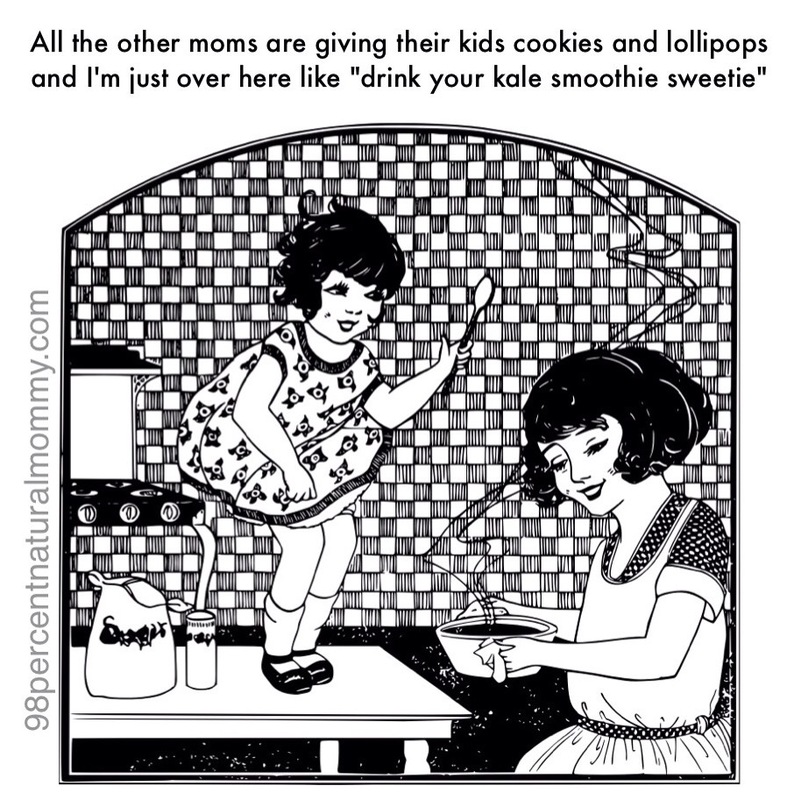 If you give your kids “junk” calories that means there is less room for nutritious calories. That unhealthy cookie you let your kid have as a snack every day (and most kids don’t stop at just one) could be replaced by a serving of fresh fruit. Children who consume more antioxidant-rich foods and whose mothers had an antioxidant-rich diet during pregnancy are less likely to have allergies later in life6. Since babies and children are growing, their brains, bodies and immune systems are still developing which is why they need all the nutrition they can get. Children’s food preferences are determined by both genetics and familiarity2. So even though kids already have predetermined preferences for certain tastes and textures, they can also learn to prefer healthy foods simply by trying them frequently and watching the people around them eat the same foods as well7. These learned preferences carry on into adulthood; if you teach your kids to eat healthy at a young age they are more likely to continue eating healthy later on in life7. 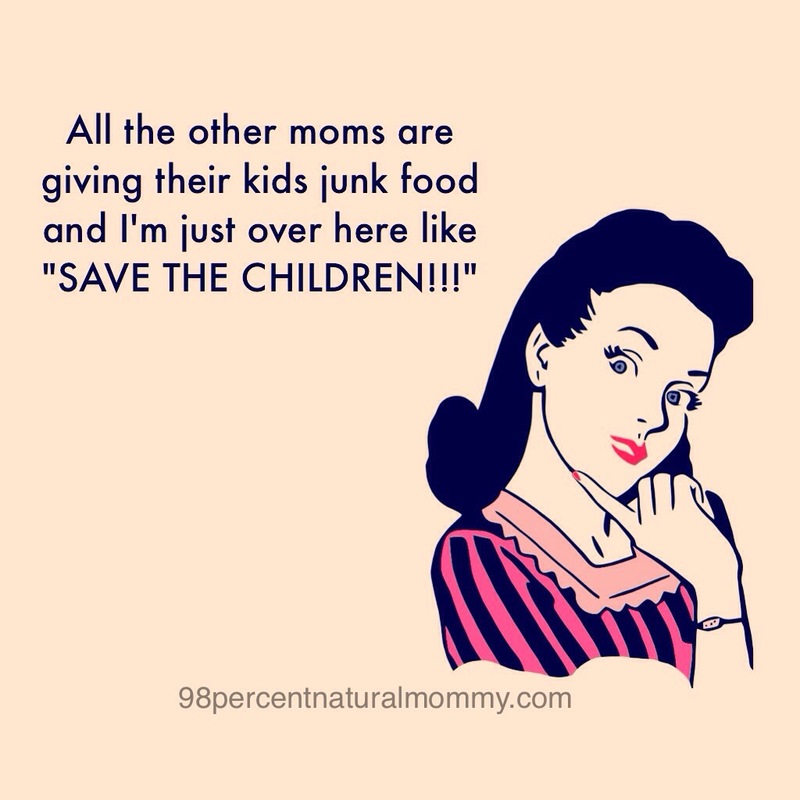 I see other parents give their babies and young children junk food on a regular basis and it makes me cringe. Some of those kids have chronic rashes, allergies, and/or constant stomach upsets, probably due to their diets. Unfortunately, those are just minor symptoms compared to the long-term damage that a bad diet early in life can lead to. Some parents are simply unaware or uneducated about the implications of junk food on their kids. Some are perfectly aware but feel bad when their kids ask for the same food that they are eating and give in (which is exactly why parents should model healthy eating themselves). When kids ask to eat the same “junk food” as their peers it makes it that much harder to say no. Others simply don’t want to put in the extra effort required to prepare healthy food for their children as it is much easier to just open a wrapper or box when their kids are hungry. Feeding kids healthy food is not easy. It takes more time and effort to prepare, not to mention the extra time actually feeding it to them if they are fussy eaters. But no one said being a parent was easy. And the reward of seeing your kids grow up to be happy and healthy adults is worth it. 2. COOKE, L. The importance of exposure for healthy eating in childhood: a review. Journal of Human Nutrition & Dietetics. 20, 4, 294-301, Aug. 2007. ISSN: 09523871. 3. El-Wahab, Hanan Mohamed Fathy Abd; Moram, Gehan Salah El-Deen. Toxic effects of some synthetic food colorants and/or flavor additives on male rats. Toxicology & Industrial Health. Mar2013, Vol. 29 Issue 2, p224-232. 9p. 6 Charts. DOI: 10.1177/0748233711433935. 5. Lahiri, D. K.; Maloney, B.; Zawia, N. H. The LEARn model: an epigenetic explanation for idiopathic neurobiological diseases. Molecular Psychiatry. Nov2009, Vol. 14 Issue 11, p992-1003. 12p. 3 Diagrams, 1 Chart, 2 Graphs. DOI: 10.1038/mp.2009.82. 6. Patelarou, Evridiki; Giourgouli, Gianna; Lykeridou, Aikaterini; Vrioni, Evagelia; Fotos, Nikolaos; Siamaga, Eleni; Vivilaki, Victoria; Brokalaki, Hero. Association between biomarker-quantified antioxidant status during pregnancy and infancy and allergic disease during early childhood: A systematic review. Nutrition Reviews. Nov2011, Vol. 69 Issue 11, p627-641. 15p. 2 Diagrams, 3 Charts. DOI: 10.1111/j.1753-4887.2011.00445.